Location: The Anderson House, 2118 Massachusetts Avenue, NW, Washington, DC 20008. 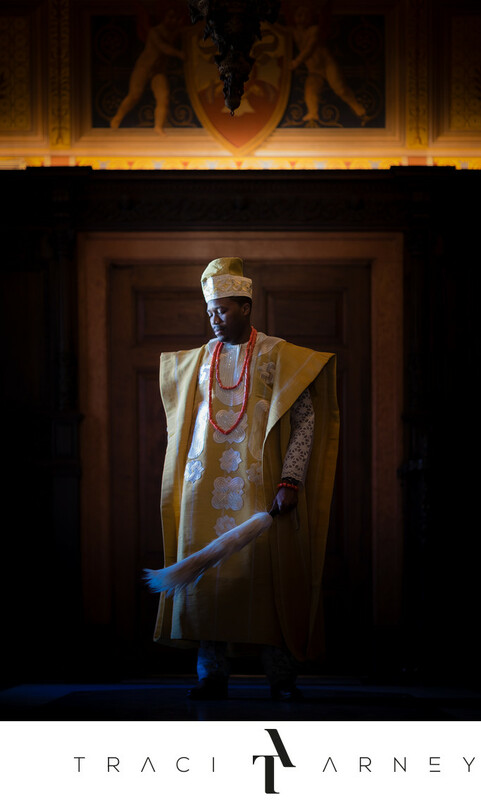 Keywords: Agbada (3), Ankara (3), Bride (171), Buba (3), Fila (3), Groom (72), Horse Tail Iru Eshin (3), Nigeria (9), Persian (6), Sakoto (3), The Anderson House (24), The Society of Cincinnati (9), Yoruba (9). 1/100; f/1.6; ISO 400; 85.0 mm.